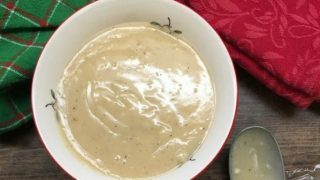 If you’ve got the turkey, you can make this easy homemade turkey gravy from the drippings right before you sit down to eat. 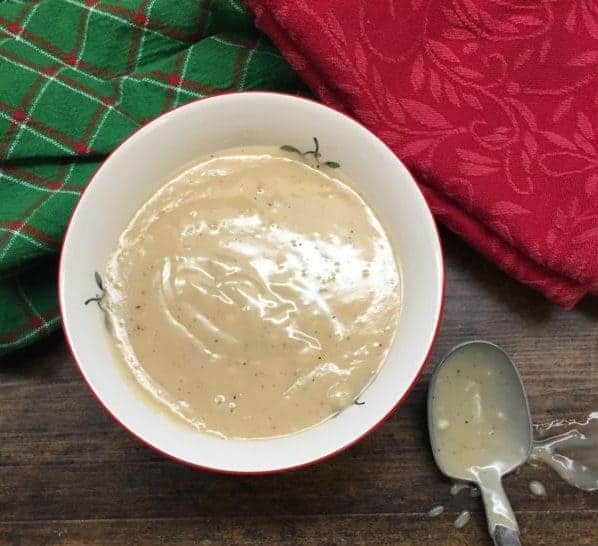 It takes less than 5 minutes, and is the best turkey gravy to pour over those piping hot mashed potatoes or anything else you want to cover. We had a great, but interesting Thanksgiving this year. We found out on Monday that we had a leak somewhere in either the house or the yard. The meter reader came through and left a note on the door to check for a leak. Naturally, I’m in a panic and we couldn’t figure out where it would be. No water damage in the house. No water anywhere in the yard. Stumped. But, we finally narrowed it down, had the leak detection guys come out and find it. Not surprisingly, it’s under our big oak tree out front. So, we are rerouting the water pipes away from the tree. But, in the meantime, Thanksgiving day happened. We turned on the water long enough to get what we needed, wash a few dishes, and accomplish the task of cooking the entire meal. And, it was successful! We used this as an excuse to use paper plates this year! Ok, so back to the gravy recipe. Once you’ve cooked the turkey, pour the liquids through a strainer and into a bowl. 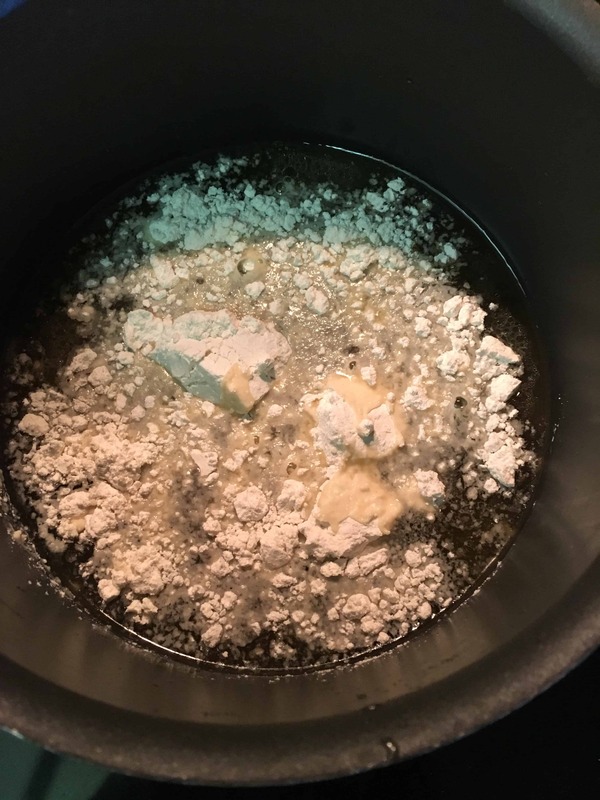 Give it a few minutes and the fat will separate from the rest of the liquid. The fat is like gold. It’s tasty as can be. The fat will rise to the top. 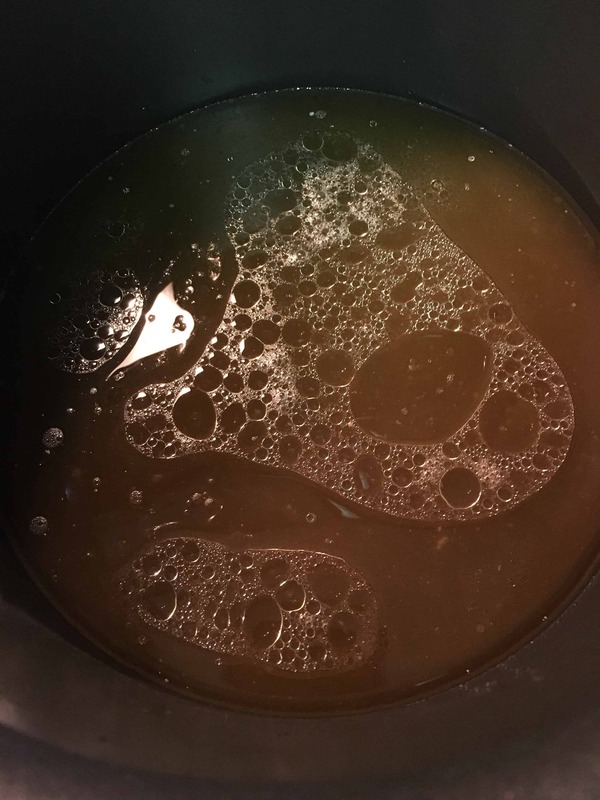 Add the fat and the liquid to a saucepan. You can use a skillet, I just didn’t have the room on the stovetop with the turkey resting there. Add the flour and whisk it in. Keep stirring on medium heat until the gravy thickens. If it’s still not thick enough, add one more spoonful of flour and whisk it in. 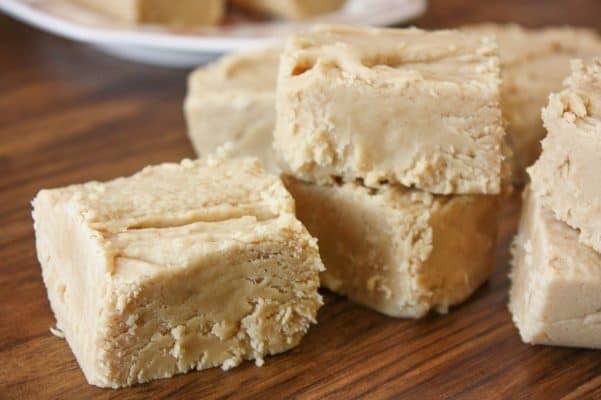 If it’s too thick, add one tablespoon of heavy cream to thin it out a little. Add the salt and pepper to taste and keep stirring until it’s good and thick. That’s it! 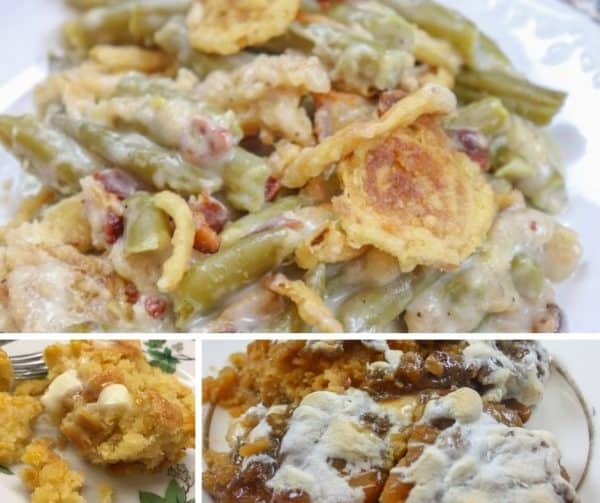 Once it thickens, the easy turkey gravy recipe is ready to go. This will be enough for at least four people. Enjoy! 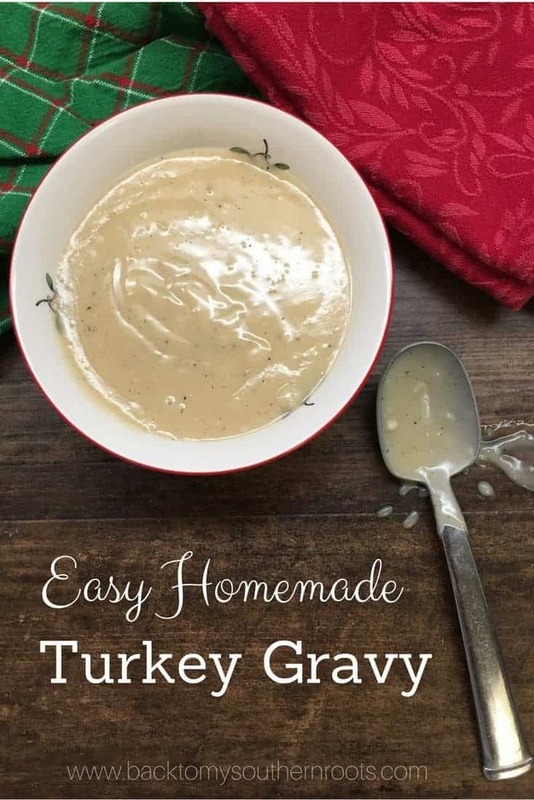 If you've got the turkey, you can make this easy homemade turkey gravy from the drippings right before you sit down to eat. 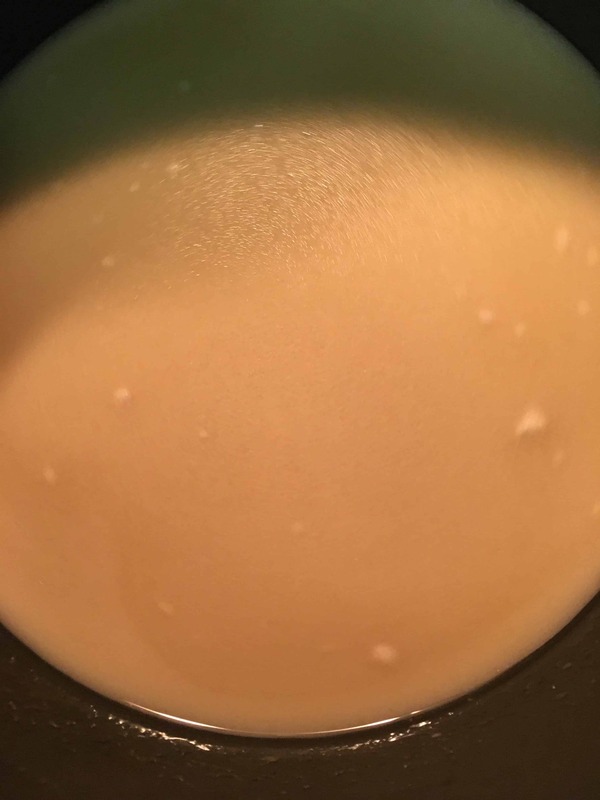 It takes less than 5 minutes, and is the best turkey gravy to pour over those piping hot mashed potatoes or anything else you want to cover. Add the fat and the drippings to a sauce pan or skillet. Add the heavy cream and all-purpose flour and whisk in. 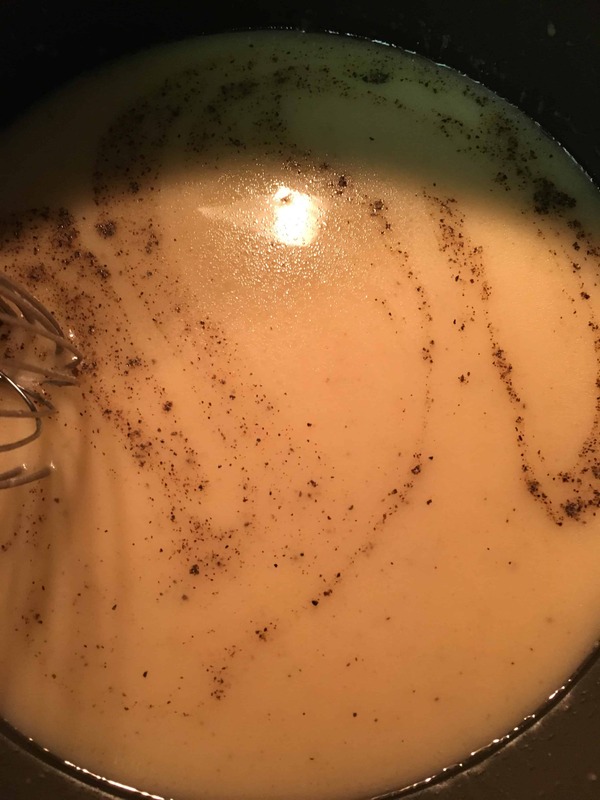 Stir on medium to medium-high until gravy is thick. Add one more spoonful of flour if not thick enough, or a tablespoon of cream if too thick. The nutritional information does not include the turkey drippings or fat.